College classes can be demanding—usually way more demanding than your high school classes. *Cue brain-melting panic. * But, luckily, the right preparation is all it takes to succeed. Follow these four tips to be fully prepared for your college classes. One easy way to prepare for your first fall semester classes is to do some advance reading during the summer. Some colleges already encourage this by assigning a book to incoming freshmen to read before the fall term begins. But even if not, try getting a head start on any required books or articles before your classes even begin. Once you know what courses you’ll be taking, you may be able to find the reading lists and/or syllabi on your school’s website or through the department that offers it. This can save you time and reduce stress in the long run. Other college reading material can also be worth exploring. Why not tackle books or articles on how to succeed in college? A great example is How to Succeed in College and Beyond: The Art of Learning (Wiley-Blackwell). Plus, there’s all the student life, majors and academics, and internship help and advice on CollegeXpress. If you’ve been an outstanding student in every subject, great. But if there are weaknesses in your academic background, consider taking steps to address them before your college classes begin. If you’ve struggled a bit with math, for example, look at ways to improve your skills before taking college-level mathematics. Options include enrolling for a summer course at a local community college, working with a tutor, or just looking for tutorials and testing yourself using free websites and apps. Sticking with the math example, you can check out sites such as S.O.S. MATHematics and Purplemath. They allow you to take practice tests and brush up on key concepts (just use a search term such as “math tutorials”). The same approach can be applied to basic study skills. Do you really know the most effective way to study? Sites such as HowToStudy.org offer clever tips on making the most of your study time. Dr. Smith also advises staying on top of class assignments—ideally working ahead a chapter or two if you can. “If you come to class with some basic knowledge of what is going to be discussed, you will not believe how much easier classes will be,” he says. Perhaps the easiest way to prepare for your college classes is thoroughly reviewing instructions, syllabi, and background information. Ask professors at any college or university, and you will hear story after story of students who enrolled in their class but didn’t bother to read the course description, let alone the syllabus. 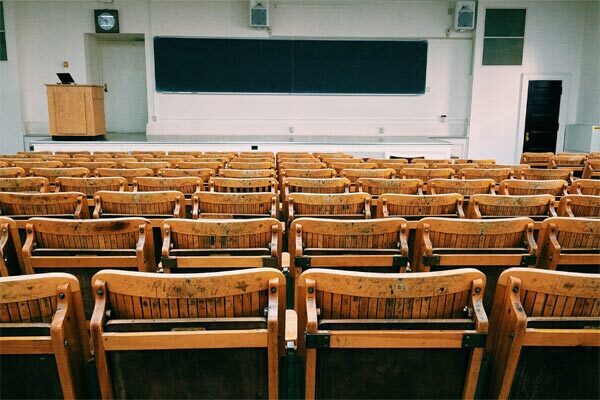 Too many students ignore the syllabus provided for each course, even though this document may outline not only course requirements but also details such as attendance policies, grading standards, and completion dates for major projects. To be as fully prepared as possible, make sure to avail yourself of all relevant info about each course you take. What are you doing (or what did you do) to prepare for your college classes? Leave a comment and let us know.